This method of retrieving data from MAST holdings has been discontinued for security reasons, but many options for downloading MAST data remain. For many years, STScI and MAST have provided an SFTP/FTP option that allowed a user to designate a location outside the STScI network for data to be pushed. However, for security reasons, STScI/MAST has discontinued this option as of earlier this month. Through the MAST Data Discovery Portal: The option to have data staged for pickup via FTP from an STScI server will remain for those using the MAST Data Discovery Portal. Programmatically using Astroquery: MAST data products (including HST data) can be accessed through the MAST Astroquery API. Additional datails on available MAST web services, including mission-specific search portals and VO access, are available here. Any further questions or comments on retrieving data from MAST can be sent through the Archive Helpdesk. Revised guidelines and new user forms aim to streamline the process for contribution of High-Level Science Products to MAST. MAST welcomes contributions from the community of high-level science product (HLSP) collections. Such contributions are an increasingly popular way to give science results extra visibility, while enabling new research from independent science teams. MAST now holds nearly 140 HLSP collections, and the HLSP descriptive papers enjoy citation rates well above that for most papers based on individual HST observing programs (see Shaw, et al. 2018). If you are considering archiving your own HLSP with MAST, please consult the contribution guidelines. These guidelines were updated to clarify the contribution process with a succinct how-to guide, and to be more specific about acceptable data format, organization, and required metadata. Interested users can then get the ball rolling by filling out the HLSP Interest Form. This will start a dialogue with MAST staff by giving us some basic information about the collection, and how we might best help turn your data into an archive-ready HLSP. Additional questions on the HLSP archiving process are also welcome through this form. Once your files are ready for submission, we also have a new Contribution Request Form to provide MAST staff with further information about the contents and data. The form also asks authors to acknowledge a license agreement (CC BY 4.0) which enables MAST to distribute HSLP data collections freely to the community, and which requires authors who use HLSP products in published works to cite the descriptive papers. Additional questions or comments on HLSPs may be directed to the Archive Helpdesk, though we would encourage users who are even on the fence about contributing an HLSP to fill out the Interest Form and we can discuss your collection directly. We look forward to working with you! New collections include HST UV globular cluster data, and hyperspectral maps of Uranus, in addition to updates of Frontier Fields Lens Models and K2SFF. The HST UV Globular Cluster Survey (HUGS, Nardiello et al. 2018) is a UV initiative to complement the existing F606W and F814W database of the Hubble ACS Globular Cluster Survey by imaging a large sample of clusters through UV/blue WFC3/UVIS filters F275W, F336W, and F438W. The survey provides catalogs and astrometrised stacked images of 56 globular clusters and one open cluster observed during GO-13297 (PI: Piotto) and the two pilot projects GO-12311 (PI: Piotto) and GO-12605 (PI: Piotto). For each cluster there are three catalogs, one for each photometric method adopted. The catalogs contain information on the positions and on the photometry in five bands (F275W, F336W, F438W, F606W, and F814W) of each star found in the cluster field. The catalogs also include membership probability. 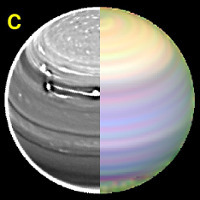 Uranus-STIS (Sromovsky et al.) is a collection of hyperspectral cubes of Uranus, constructed from HST/STIS observations obtained in 2002, 2012, and 2015. These data cover half the extent of Uranus with a spatial sampling of 0.0277 arcsec/pixel, and a spectral coverage from 300.4—1020.0 nm with a sampling of 0.4 nm/pixel. Sharon v4 model scalings corrected for Abell 2744, MACS 0416, MACS 0717, and MACS 1149. Williams v4 and v4.1 deflection maps added for all clusters. Diego v4 and v4.1 deflection map scalings corrected. K2SFF detrended light curves from Campaign 17 are now available at MAST through the search form, along with the MAST Portal and astroquery.